How-To Project of the Week: Halloween Cones! Adorn your table, counter top or porch with these autumn bounties! 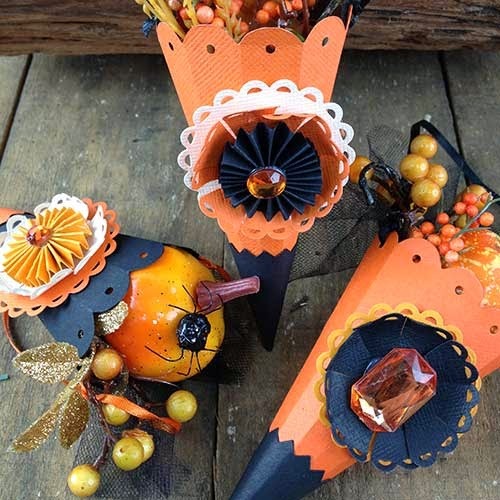 Taking some stylistic cues from the classic horn of plenty, which offers a cornucopia of harvest fruits and vegetables, these Halloween cones are bursting with items of an autumnal and slightly spooky nature! Made from simple card stock, netting and a variety of other fall decor items, these cones are perfect for the kitchen, the dinner table or the porch. In addition to decoration, the cone shells can be stuffed with candy and other Halloween sweets! Find a unique Halloween fabric to complement your cones, or browse the rest of our seasonal how-to projects on our homepage. Want to share your latest creation with us? Connect via Facebook! The Socky Collection Makes its Flannel Debut! 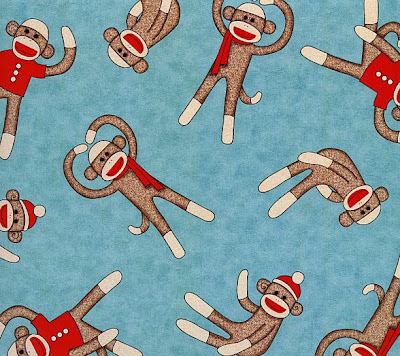 When Windham Fabrics debuted its Socky collection on 100% cotton fabric, it was an instant hit. 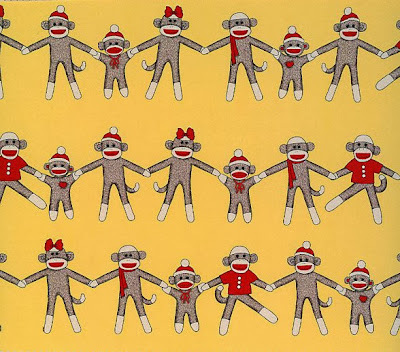 Super cute, colorful sock monkeys were seen smiling and prancing about against vibrant backdrops. In an effort to extend the appeal of the Socky collection into the cooler fall and winter months, Windham has released a new run…in soft, luxurious flannel! 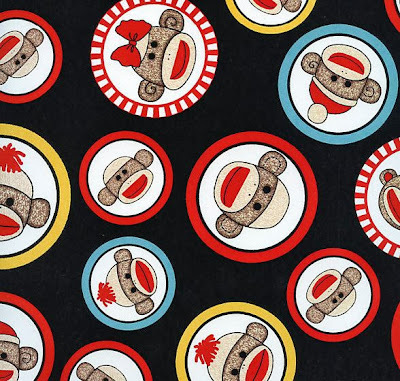 Designed by Whistler Studios, the flannel line of Socky stays true to the fun, lighthearted design of the original cotton line. 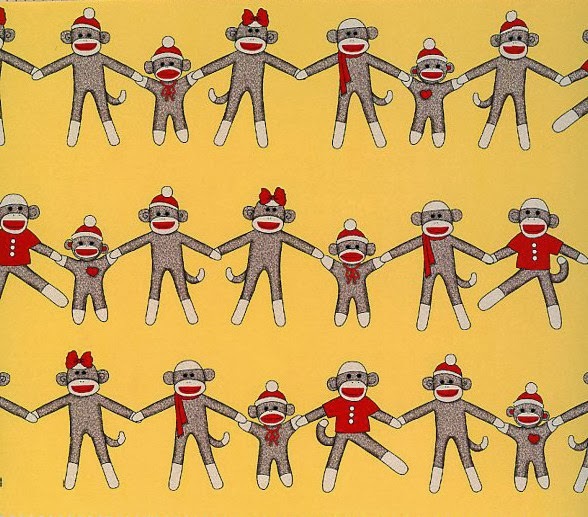 The monkeys don winter caps, scarves and little button-up shirts to help convey a wintery atmosphere. 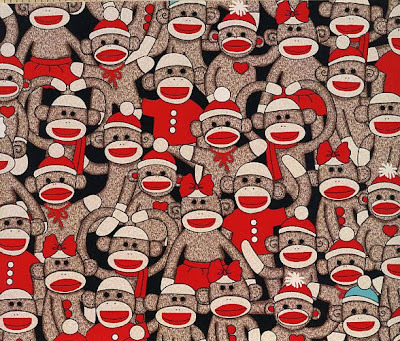 A primary color scheme is the unifying motif of the collection, with vibrant yellows, reds and blues found on each textile. We can see the Socky Flannel fabric collection working perfectly in a child’s bedding project, including a soft winter comforter or casual lay-around blanket. It would also work wonderfully as a little boy or girl’s scarf, or snug cap for cold mornings at school! Use several fabrics from the collection together in a quilt, or use your favorite on its own in a unique fabric craft. This line of materials leaves many possibilities open for the creative quilter! For the latest on-site arrivals, craft ideas and more, join us on Pinterest! 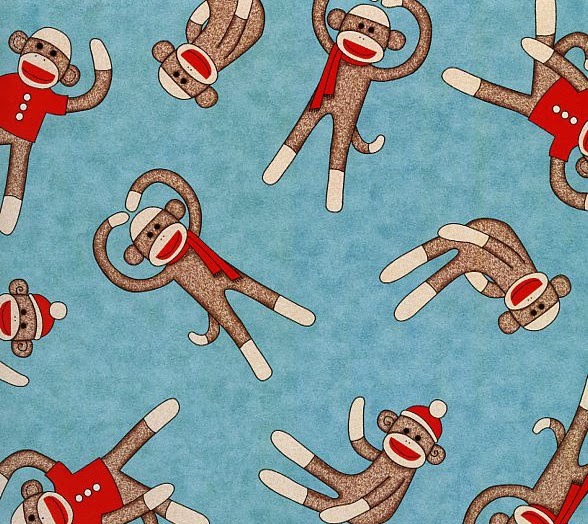 If you want to share your Socky Flannel project with us, feel free to reach out to us on Facebook—we love featuring the work of our beloved customers.